Smarteq™ is a scandinavian manufacturer of antennas for private mobile radio communications, Wifi, GSM/UMTS/3G telephones, Tetra systems and other telecom radio systems. We offer a selection of the product range, among others the products which used to be offered by the company 'Köbel' in Germany. WiMo has taken over the business from Köbel in 2014. Smarteq products also used to be known under the name of 'Allgon'. All removeable radiators by Smarteq have an M6 inner thread on the lower end and require a suitable base with M6 outer thread. The radiators are weathrproof and suitable for permanent outdoor usage on vehicles or fixed installations. As materials Smarteq uses stainless steel in most cases, sometimes plastic coated or protected by a glass fibre cover. Except for radiators 62008 and 62017 all radiators are black; 62008 is stainless steel without coating (WiMo product); article 62017 is stainless steel with coil and grey plastic coating. Various radiators are supplied with a cutting table, these antennas must be cut to the proper length according to the intended operating frequency. The bandwidth of these radiators is approx. 2 to 10 MHz, depending on frequency. The usable bandwidth of other radiators is shown in the table below. 62015 is not available until the end of Januar 2015! The antenna bases by Smarteq are suitable for chassis mount on the roof of vehicles, or on the side of a car on the wing (Base 1131). The connector to the radiator is an M6 thread. The bases are supplied in parts and must be assembled before use. The installation is done from the inside through a hole, when mounted properly the installation is watertight. The required hole diameter in the chassis is 14 to 19mm Ø, see table below. All Smarteq bases are coloured black, weatherproof and UV resistant. Bases 1123 and 1131 can be adjusted in inclination by up to 30° from the mounting direction, this is done by slightly bending the upper part of the base. With base 128 the inclination is adjusted from 0 up to 90° with a slanted washer which is secured by a screw. The bases are supplied with or without cable. 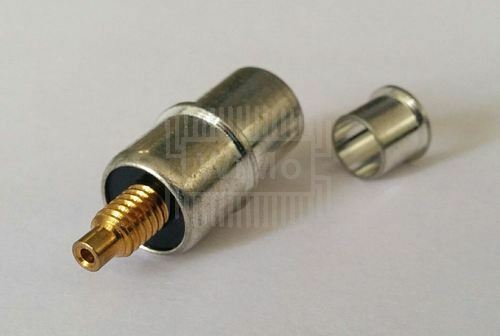 The models Base 1123 and Base 1131 without cable have an FME connector, the model Base 128 requires a special Smarteq connector '45886+' (WiMo reference 62106.02). The Smarteq Magnet Bases are suitable for Smarteq antenna radiators with M6 thread. These bases are very useful for rental cars or any situations where a permanent installation is not possible. The bases are equipped with a strong magnet, the lower part is covered by a silicone/rubber cap to protect the chassis of the car. This rubber cap should be replaced on a regular basis, we do offer spare parts. The small 'MidiMag' model is recommend by the manufactuer for antenna radiators of up to 315mm length, the larger and heavier 'MaxiMag' is suitable for longer radiators as well. The inclnation of the antenna on the 'MaxiMag' can be adjusted from 0 to 90°. The cable on the 'MiniMag' model is connected with an FME connector, the cable can be replaced if another lenth is required. In that case the connection should be protected again with heat shrink tube. The Smarteq antenna bases are cloloured black, weatherproof and UV resistant. Besides the components shown above (radiators, fixed and magnet bases) Smarteq also offers a smal lselection of antennas complete with base and radiator. These antennas usually do not have an M6 thread and can not be used with the components shown above. The antennas are black, weatherproof and UV resistant. The antennas are supplied with two radiators, the longer radiator is suitable for GSM900 only and gives a better gain. The image shows an SMA connector, but reference 62104 has an FME cable jack.